Be a Mom on Mission! Being a mom places you on a unique mission field! You have a first hand calling to parent your child in the ways of God. You are called, established and equipped by God to be the best mom in the world, WITH HIS HELP. Along with fathers, you are called to raise your children “in the training and admonition of the Lord” (Ephesias 6:4b). You are to teach them to fear and love God. You have the opportunity to walk in the fruit of the Holy Spirit on a daily basis, teaching them God’s word, His will, and His ways. If you feel like you are failing as a mom… there is help! 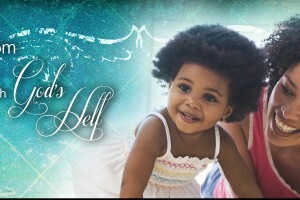 God is the helper that comes into your nursery and helps you to parent your child. He has given the Holy Spirit to lead, guide, instruct, and comfort you as the mom. He also gives a community of other mom’s who have struggled with some of the same things and have learned to turned to Jesus to help them keep focused on their mission as a mom. The Christian MomTalk community is being formed to grant you a safe place for you to find help. http://www.christianmomtalk.com/wp-content/uploads/2012/05/Mom-Mission.jpg 400 1920 admincmtalk http://www.christianmomtalk.com/wp-content/uploads/2018/01/CMT-Trans-1-300x93.png admincmtalk2012-04-25 16:13:272012-04-25 16:13:27Be a Mom on Mission! His Needs, Her Needs Be the Best Mom you can Be with God's Help!